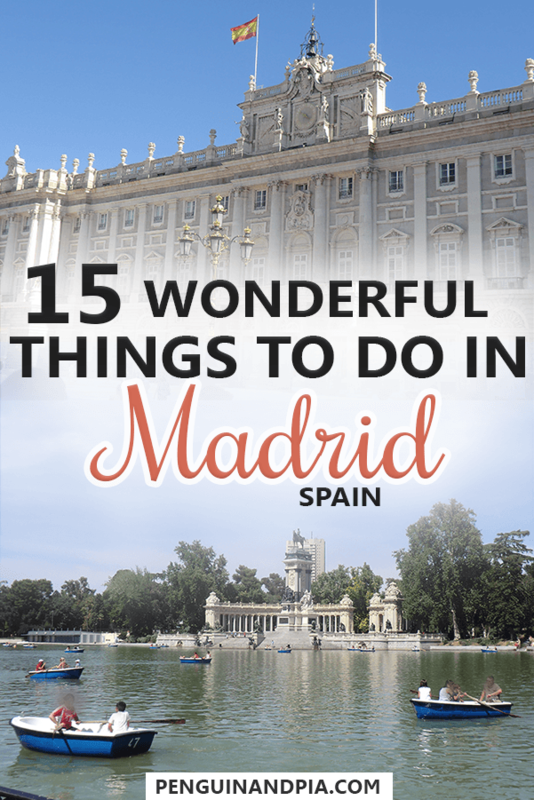 There are Loads of Things to Do in Madrid! As you might already know, Lisa has a special connection with Spain. This is probably because she has been learning Spanish on and off since High school. Over the years, she has visited Spain numerous times including during her exchange semester abroad. She’s always looking forward to going back. Eric has only explored Barcelona but wants to explore more of Spain – because Lisa won’t stop talking about how cultural and beautiful it is! Madrid is no exception. It is definitely one of the beautiful cities in Spain that you shouldn’t miss. That said, finding non-touristy things to do in Madrid can be a challenge. This is simply because the city is alive with major attractions. The good news? If you do your research and look hard enough, you’ll find truly unique things to do in Madrid. If budgeting is your concern, there are lots of free things to do in Madrid and even cheap things to do in Madrid at night! 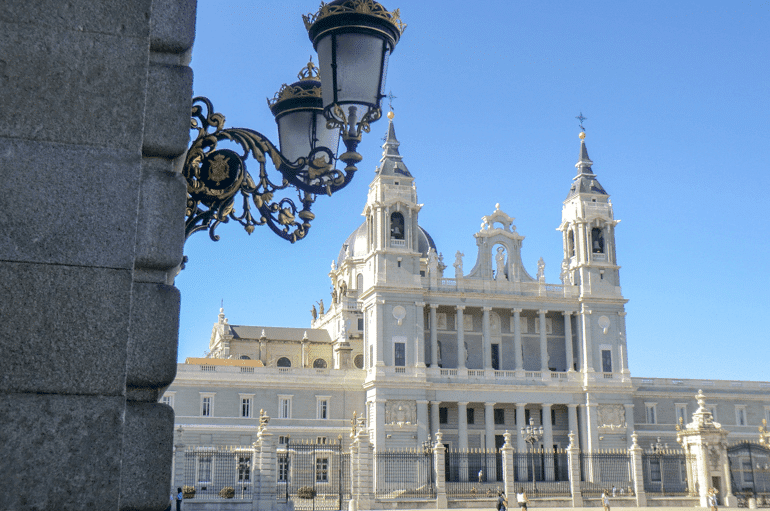 So, if you’re travelling to Spain and ready to explore this awesome city – let’s get you acquainted to quite a few of the wonderful things to do in Madrid. Here are a few general things to consider before heading to Madrid. Some of these things can be said for other Spanish cities as well but it’s good to know for Madrid specifically since Lisa has been there. We actually wrote a massive post on Spain trip planning if you are planning a Spain itinerary for any number of days. Check it out! Of course, there are lots of things to do in Madrid in summer. It’s certainly a popular time to visit. However, Madrid in the summer gets HOT! Since it is in the middle of the country, there is no cool ocean breeze so be prepared for lots of heat. If you have flexible dates, we would recommend that you visit in June or September and avoid July and August. It really can get unbearable. During that time lots of locals also leave the city to escape the crazy summer heat! Pickpocketing is a problem in Madrid. We know numerous people that had their belongings stolen without even noticing anything – only minutes or hours later did they find out that there wallet or cellphone was gone. When visiting Madrid, make sure to take a handbag with a zipper that is not super easy to open. Lisa tries to buy bags where she can essentially “lock” the zipper. This means that she attaches the loop of the zipper to another zipper with a lock so the whole section can’t be opened easily. You could also try to have your hand on your bag when walking through busy tourist areas. Ideally, you can leave things at the hotel/hostel. This includes important documents such as your passport. There are lots of accommodations all over the city – and you can get started looking for accommodation in Madrid here. If you’re looking for a cheap but clean and central place to stay, check out Hostal Madrid. Lisa has stayed there twice and really enjoyed it. It’s even made our huge list of hostels in Europe we love! It is especially good if you’re travelling in a group (one time we stayed in a small apartment for three people that was awesome). But they also have rooms for two people or bigger groups. Check for availability at Hostal Madrid here. If you’re staying at Hostal Madrid, you’ll be very close to Puerta del Sol. It is one of the most popular squares in the whole city and thus is always full with people. Some of the main street of Madrid actually goes through Puerta del Sol. You’ll find the famous clock at the Casa de Correos which is worth checking out! Very close to the Puerta del Sol you’ll find the Point Zero – a plaque in the ground indicating the geographic center of the country. 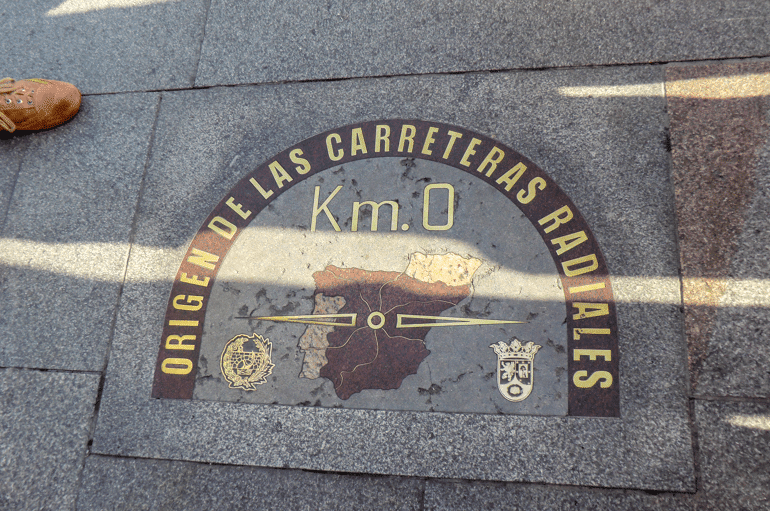 It is also the starting point for the 6 main national roads of the country that run from Madrid to other parts of the country in kind of a star shape. Just remember: it is not right in the center of the Puerta del Sol Square – but on the other side of the street. Keep your eyes on the ground and you won’t miss it. It was first placed there in 1950 but the plaque has been renewed over the years. 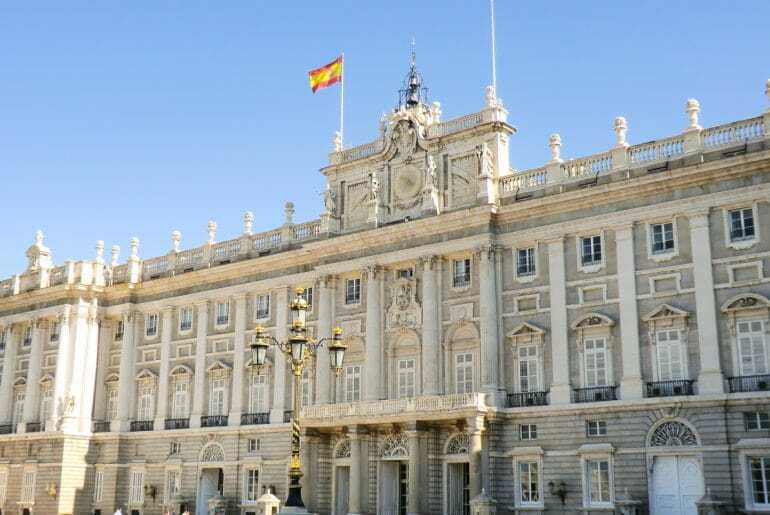 The Palacio Real is one of the main tourist attractions in Madrid. Officially, it is the residence of the royal family. However, they don’t actually live there – it is used for official functions and events. You can also go inside to do a tour of the Palace – which is quite interesting. 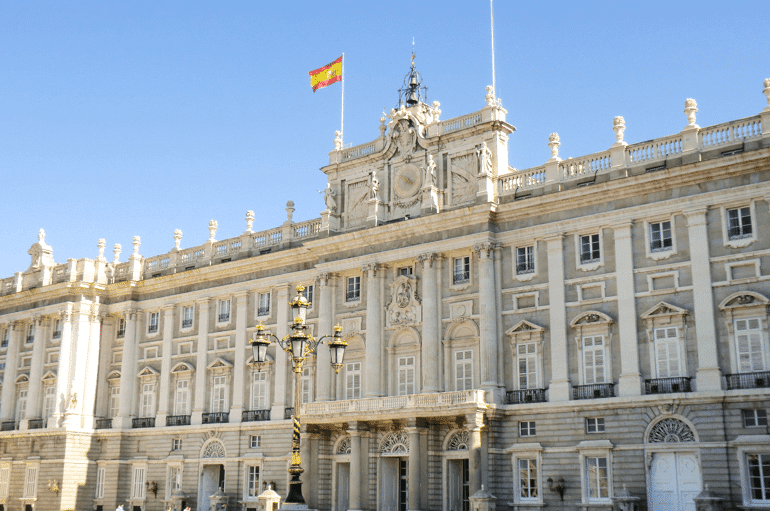 Lisa did a tour of the Palacio Royal when she went on a trip to Madrid during High School (so it was a while ago but it is still a memorable experience). The Palacio has over 2000 rooms – so there is quite a lot to see and, of course, you can’t tour all of them! You can also find one of the world’s biggest armoury collections there which was quite cool. The Palace is open from 10 am – 6 pm during the winter months and until 8 pm from April to September. A standard admission ticket costs 10 Euro. However, you might be able to enter the Palace for free during certain times if you are flexible with your time and an EU citizen/resident. You can find out about this and more general information on this page of the Madrid tourism website. You might even consider purchasing a line skip ticket and guided tour of the Royal Palace to cut out the hassle. 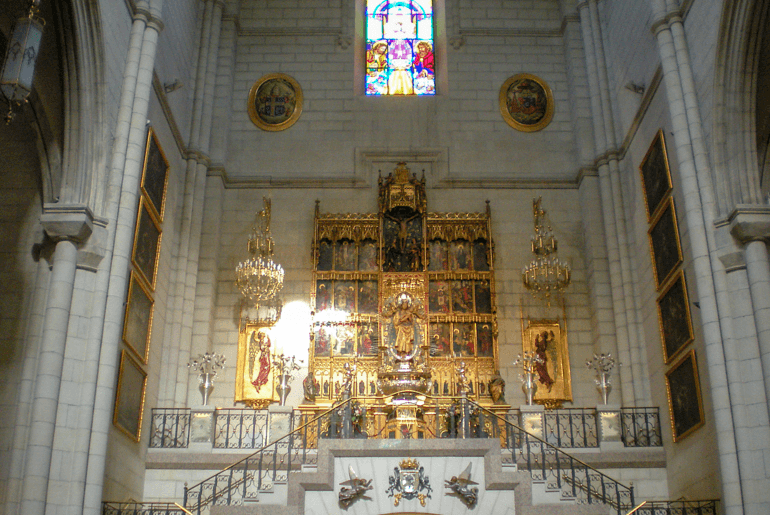 The Almudena Cathedral is located right next to the Palacio Royal and is therefore an easy one-two punch. While the church looks kind of old it was only actually finished in 1993. That said, it has been under construction for over 100 years! Admission is technically considered free but you are requested to give a donation of 1 Euro so it is not actually free. Lisa has been inside and thinks that it is worth the price if you are interested in places of worship. Some of the colourful windows are really nice to look at. An added bonus during the summer months is the chance to escape the heat for a while. Just remember to be respectful while inside the cathedral! Opening hours are from 9:00 am – 8:30 pm and from 10:00 am – 9:00 pm in July and August. You can check this website for more information about the cathedral (and potential changes in opening hours). If you are interested in visiting some museums while in Madrid, these two are probably the best known. We have never personally been to the Prado Museum but visited the Museo Reina Sofía a couple years ago. If you want to see all the exhibitions in detail you should definitely plan to spend multiple hours there. In the Museo Reina Sofia, you can find a lot of contemporary Spanish art. So, if you are interested in art by artists like Joan Miró, Pablo Picasso, or Salvador Dalí this museum should be on your bucket list! You can find more information about the Museo Reina Sofia here. The address is Calle Santa Isabel 52, 28012 Madrid. Here is the website for the Museo del Prado. Sometimes you can enter the museum for free, so be sure to check the website for more information before you go. The Museo del Prado is a VERY popular attractions and a skip the line pre-booked ticket can be well worth the money. 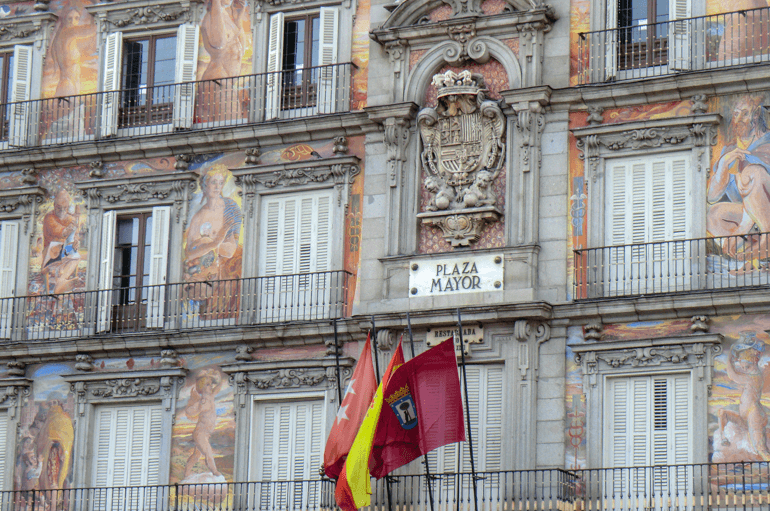 Plaza Mayor is one of the main plazas in Madrid. As you can tell from the photo, we can see why this is. It looks beautiful. In the 15th century, this was where the main market of the city was located and people came together to trade, buy, and sell food and other products. Over the years, it has had many different names as a result of the diverse and complicated history of the country. Today, you can find lots of restaurants, bars, cafés, and ice cream shops around the square. The restaurants are quite touristy but can still make for a very nice experience. Madrid Tip: just get pushed into eating at a specific restaurant – just say no and move on. The plaza is also great to just sit down and people watch like the locals do. It is quite close to the Puerta del Sol so you can easily visit both of them in one trip. Insider Tip: On the way from Puerta del Sol to the Plaza Mayor you’ll pass a small store called Museo de Jamón. You can get large sandwiches with Jamon (prosciutto), salami, or cheese that are super cheap and delicious! 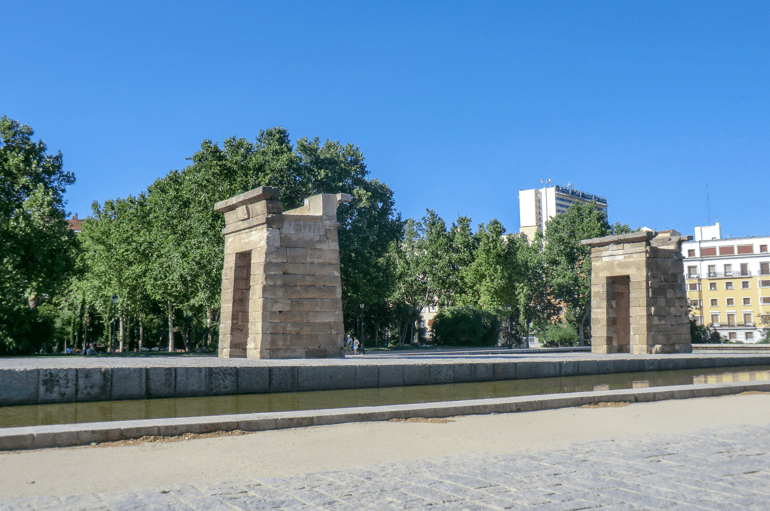 The Debod Temple is an old Egyptian temple that was built two centuries BC in a village called Debod. The temple was donated to Spain by Egypt in 1968. It was then rebuilt in Madrid in the 1970s. 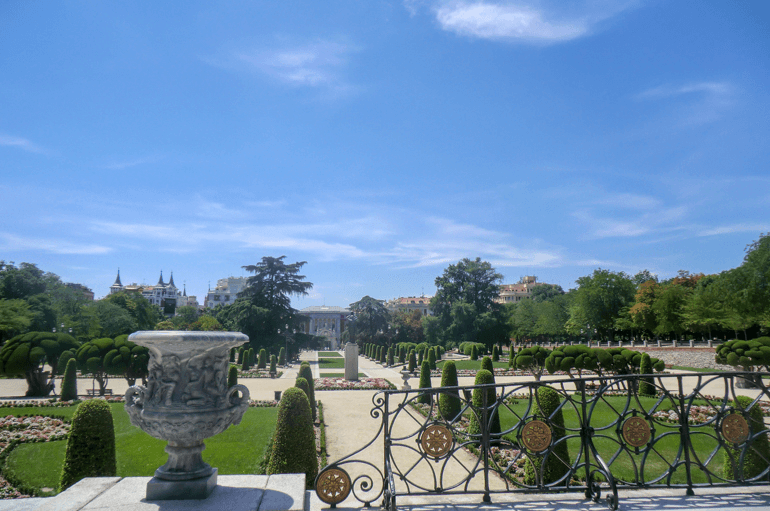 It now calls the West Park in Madrid its home – and so admission is free. According to the Madrid Tourism Website, the inside of the temple is currently closed to the public. That said, you can find more info here. If that is the case, you can still walk along the outside during opening hours. Lisa has never been inside herself so we can’t really say whether it is worth it. What we can say is that the structures and the water surrounding them make for beautiful photo opportunities. You should know that the temple area is always closed on Mondays. On other days it is open from 10 am to 8 pm. The Rastro is a flea market that happens every Sunday or during holidays from 9 am to 3 pm. It is the most popular open-air flea market in the whole country with more than 1000 merchants offering their goods. It can get very crowded and busy, so be sure that you stay close together if you’re travelling as a group. We would definitely recommend that you check it out if you’re there during the weekend. It’s a great experience and you might find a couple of small souvenirs to take home. When Lisa went there she bought a small hand fan – now years later she still has it. Just make sure to watch your belongings as busy crowds are the target of pickpockets. 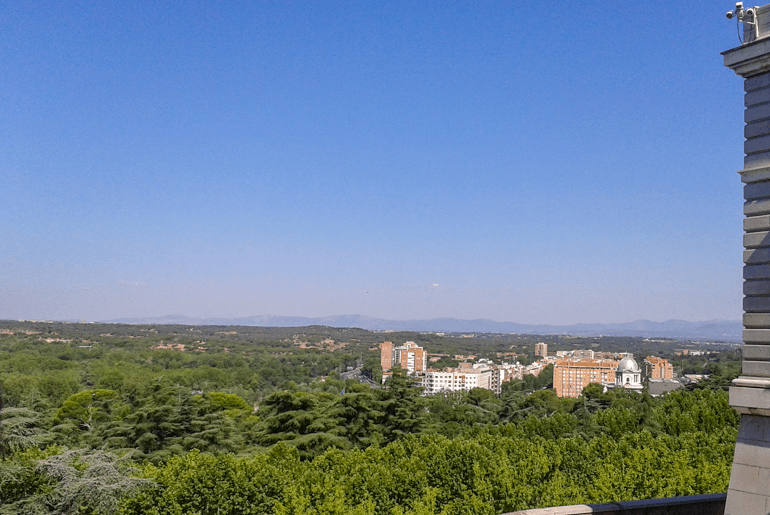 For such a big city, Madrid surprisingly has a lot of green spaces. Two of the biggest and best-known parks are Retiro (complete name: Parque de Buen Retiro) and Casa de Campo. They are perfect if you are looking for a place to relax and escape the hot summer sun. 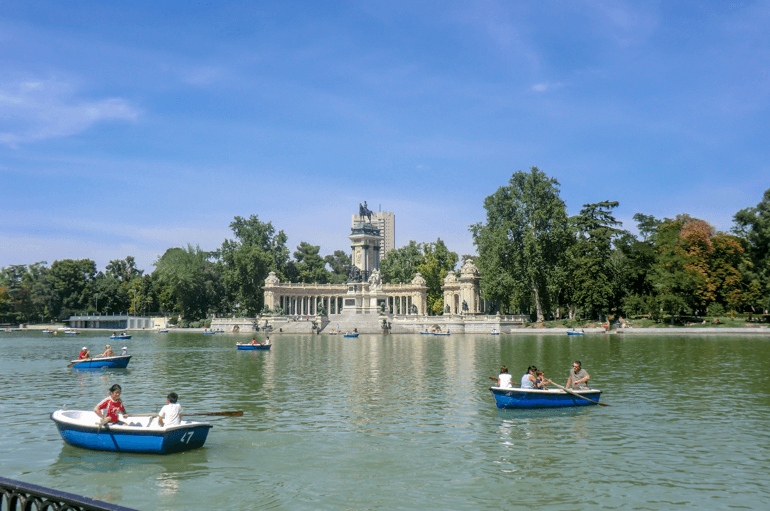 The Retiro Park, for example, is home to more than 15,000 trees so you will find plenty of shade to relax – which is absolutely necessary during the summer months. In the park, you can also find an artificial lake where you can rent a boat and enjoy the sun from the water. Be sure to use sunscreen and maybe wear a hat to avoid sunburn and, in the worst case, a heatstroke! If you don’t want to just relax you could also try to find as many of the sculptures and fountains within the park as you can. Spoiler Alert: there are many and (almost) all of them are beautiful! Since the park is enclosed by a fence and has gates you can’t just wander in at all times of the day. However, the opening hours are pretty reasonable. They run from 6 am to 10 pm in the winter and until midnight from April to September. 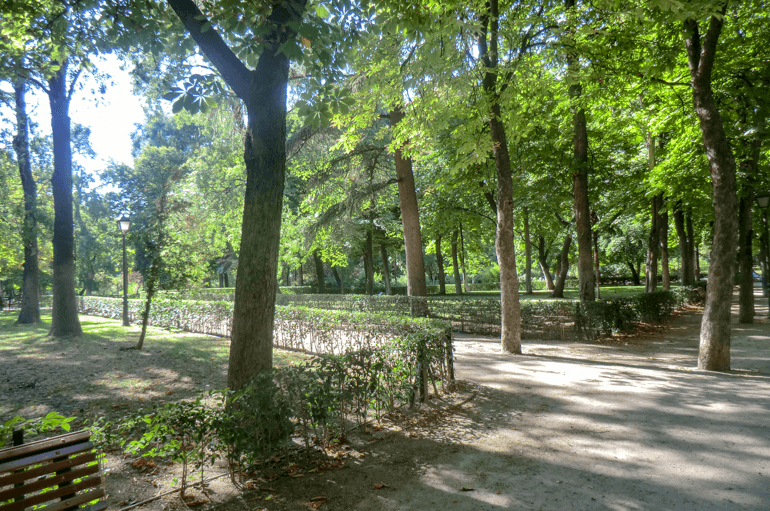 Casa de Campo is the largest public park in the area of Madrid and much more than just a green space. It is located to the west of the city and might be slightly more difficult to reach for tourists compared to Retiro – of course, this depends on where you are staying in the city. The park has a size of 1,722.60 hectares so there is plenty of space. Within the park there is also an amusement park, the zoo, and the Madrid Cable Car among other things. So if you have a few days to spend in Madrid it might be worth it to block off a (half)day just for this area since it sounds like there is a ton to do. Unfortunately, neither of us have been there yet so we can’t give you any recommendations – but we are planning to check it out when Lisa takes Eric to Spain in the hopefully not-so-distant future. We both aren’t big shopping people, but sometimes a little window shopping can be a nice afternoon activity. And Gran Vía is the perfect place for that. As the name suggests, Gran Vía is a big popular street that is well-known as a shopping paradise. The street is located in the center of Madrid. Often called “the street that never sleeps”, you’ll find a huge amount of shops and a very busy nightlife. Even if you are not interested in shopping or partying, you should definitely walk along the street. You should know that it can get VERY busy, so if large groups of people are not your thing try to go earlier in the morning or during other “off-times”. Conveniently, there is a metro stop called “Gran Vía” not quite halfway down the street. This is perfect if you are staying farther away from the centre and plan on taking the metro. Lisa has walked past this square many times without knowing what it was actually called. So this won’t happen to you, we can tell you now that it is called “Plaza de La Villa”. It makes for a great photo opportunity, which is not surprising since it is apparently one of Madrid’s best-preserved monuments. You’ll most likely pass it if you are walking from the Puerta del Sol towards the Palacio Royal – unless there is another way that we don’t know about. The three main buildings in the square were all built between the 15th and 17th century. The statue in the middle has been built as a monument for Admiral Don Álvaro de Bazán’s death. 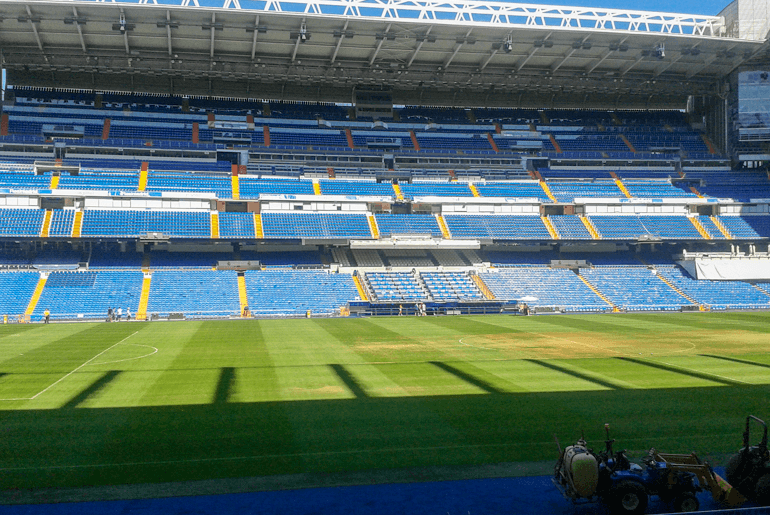 If you’re into football (or soccer for the North American readers), then a visit of the Estadio Santiago Bernabéu might be high on your list. It is one of the world’s most famous football stadiums and home of the popular club Real Madrid. Quite a few of Europe’s most important games – such as the final of the UEFA Champions League – have been held there. There is space for over 81,000 visitors – which for a European stadium is a pretty big number. You can take a tour of the stadium if you want to see it from the inside and learn more about Real Madrid’s history and successes. Tickets for adults cost 25 Euro (more if you want an audio guide). You can find out more about the tour and buy tickets on Real Madrid’s Website. If you walk the Gran Vía from the art gallery “Círculo de Bellas Artes” all the way to the other end, you’ll reach the Plaza the España. This is where you can find the beautiful fountain and the Cervantes monument – two popular tourist photo spots. Lisa is definitely guilty or taking one (or many) photos there herself. It is also the perfect place to take a small rest from your shopping adventure or just walking around the city. 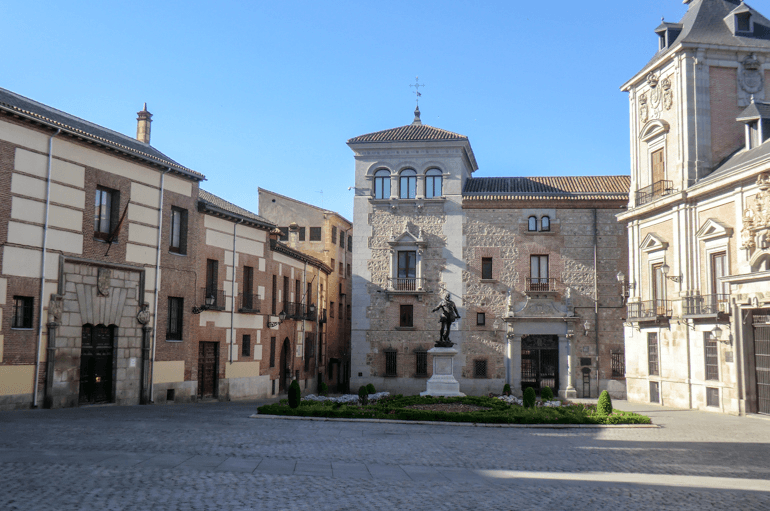 If you want to read more about the important buildings surrounding the square, you can do so on the Madrid Tourism website. 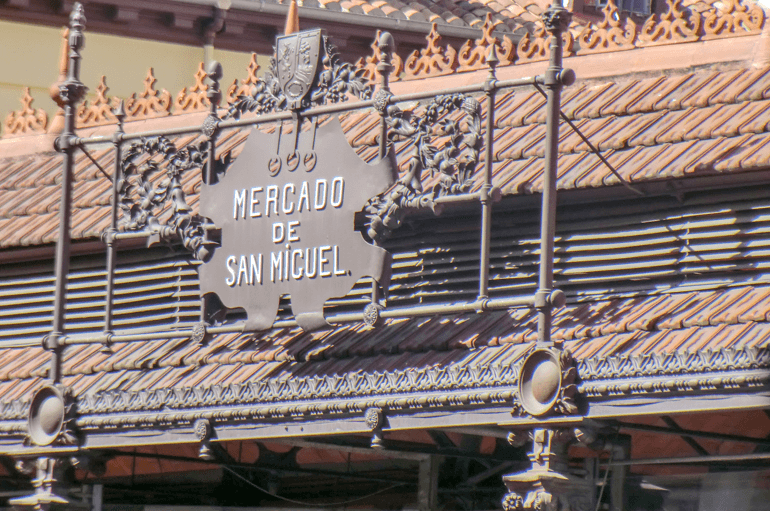 Mercado de San Miguel is a marketplace where you can buy everything from meat to fresh fruit and seafood. 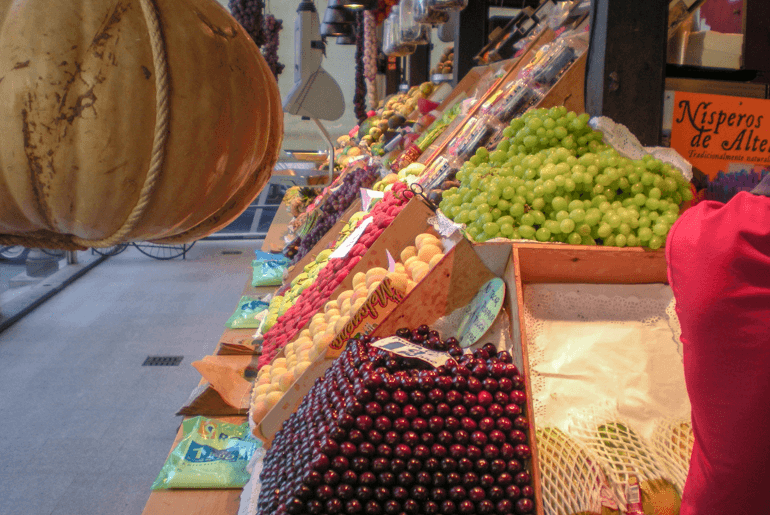 Madrid has a number of different marketplaces but Mercado de San Miguel is one of the best known among tourists. As such, the vendors often try to make their stalls look extra nice and offer snacks and ready-made food. With the popularity results in more expensive prices which you should be aware of. Lisa found it quite incredible to see cherries shaped into a perfect pyramid. She would recommend a stop at the Mercado if you want to see some of the produce and sample a few (Spanish) snacks. If you are looking to buy a lot of fresh produce as well as meat/fish then it would be better to go to one of the less touristy marketplaces. These can be found in different places across the city. With over 10 Million visitors a year, the market can get very busy. Be sure to watch your belongings which you should do anyway as a tourist in Madrid! The market opens at 10 am every day and closes at midnight from Sunday to Thursday and as late as 1 am on Friday, Saturday, and holidays. If you want to read more about the Mercado beforehand, you can do so on the official website. The Puerta de Toledo is an old city gate from the 19th century with three archways. It is now located in the center of a roundabout so you can’t really get up close to it. We wanted to include it in this list since it makes for a great photo opportunity. The thing is – you have to be patient enough to wait for a second when there is no car driving by. There is also a hotel with the same name very close to it – so if you’re still looking for a place to stay in Madrid you can check out Hotel Puerta de Toledo here. This is definitely not one of our favourites! However, in order to give you an almost-complete list, we decided to include it anyway. 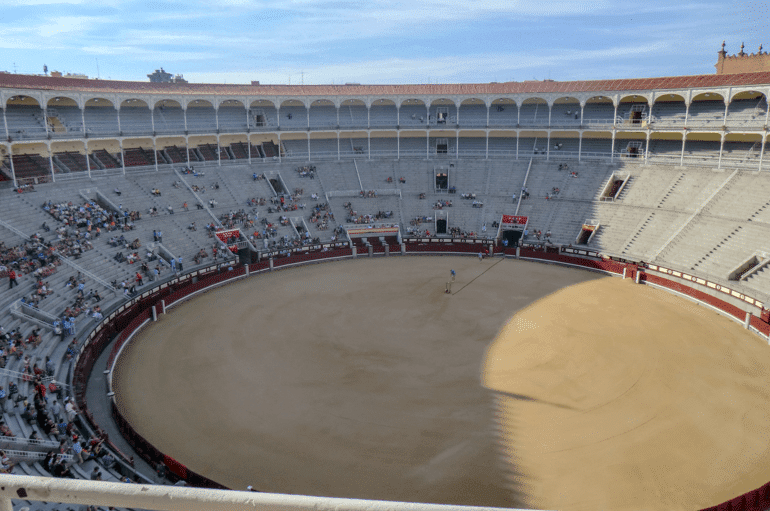 Lisa visited a bullfight a few years ago when she was on a school trip in Madrid. Most of the group left the area after about ten minutes since it was just too much to handle and it felt very much like animal cruelty. While we do not approve of this type of attraction but wanted to give you the option to experience it for yourself. In a way, Lisa is glad that she experienced it firsthand. This way, she now knows that she does not approve of it and never wants to go again. 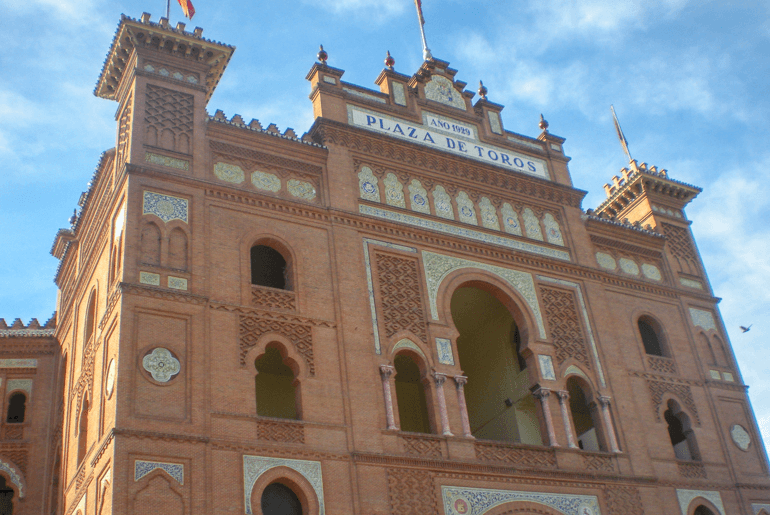 It is still part of Spanish culture (at least in some areas) so if you decide that you want to see a bullfight for yourself while in Madrid, you can find more information on this website. And there you have it – some of the best things to do in Madrid. What do you think? Have we got a decent list here or have we missed a few hidden gems? 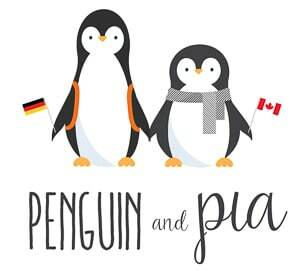 We really enjoy Spain and Lisa has many plans to take Eric to explore together! Soooo, we will keep you posted!